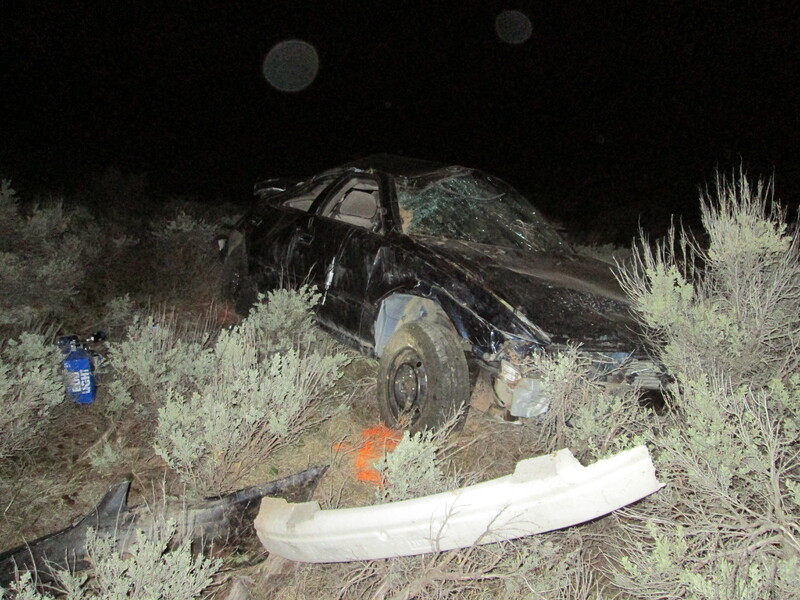 ST. GEORGE — A North Ogden man is dead after being ejected from the car he was driving when it rolled down an embankment Friday evening. Utah Highway Patrol responded to the incident involving a Toyota Camry at mile marker 49 on state Route 40 at approximately 7:50 p.m. The driver, Joseph Martin, 33, was the only person in the car. For an unknown reason, the car veered off the road to the right and down a steep embankment before it rolled several times. Martin was not wearing a seat belt and was ejected from the car, according to a news release by Utah Highway Patrol. Martin suffered serious injuries and died at the scene of the crash. Authorities are investigating alcohol or another type of impairment as a possible factor in the crash. Three men died in a similar event last Saturday when they were ejected from a rolled vehicle on state Route 18. The sole survivor of that crash suffered minor injuries and was the only occupant wearing a seat belt. This report is based on preliminary information provided by law enforcement and witnesses and may not contain the full scope of findings. Where is State Route 40? Once again not wearing a seat belt,, when are people going to learn..speed alcohol, drugs help too.. At least he was alone and made the choice..
I’m curious how they know for a fact a person wasn’t wearing their seatbelt??? I mean it could’ve come undone or yes he just may not have been wearing his☹… My sister was in a really bad accident and her car rolled like 8 times and everytime she was partially ejected out the driver side window… I almost think in some cases the force being put on the seatbelt could very well make it come undone… We’ve also had several cars that have issuses with seatbelts not latching correctly when we have heard them click… And that is scary to put it on and think it’s latched and shift your body and it comes undone!!! Especially when its your kids!!! People who don’t wear their seat belt are dumb, people who died because of it are not dumb, they’re dead. the upper restraint doesn’t latch . I did slam into the steering wheel , No restraint from the belt which was still on . If you can lean fully forward After you put the seatbelt on , it won’t stop you from going into the windshield .